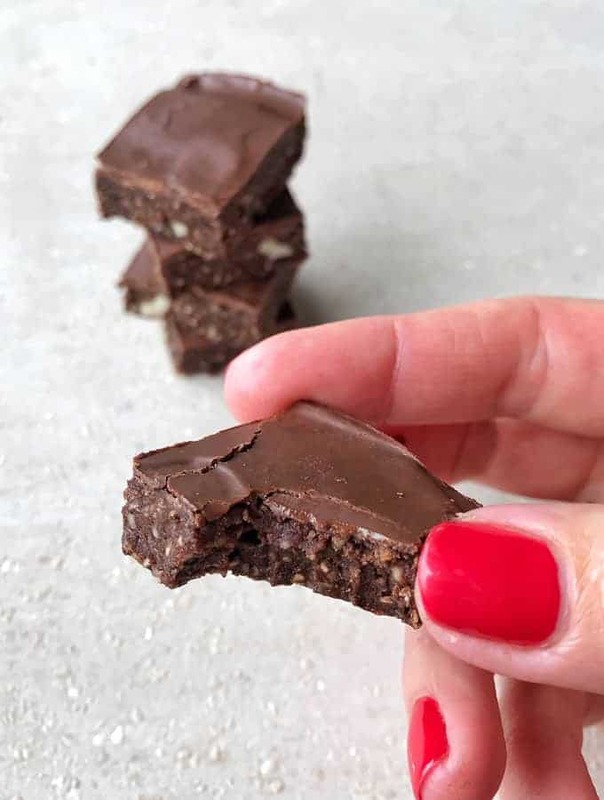 This healthy raw chocolate slice is such a great treat to have on hand to satisfy those sweet cravings. 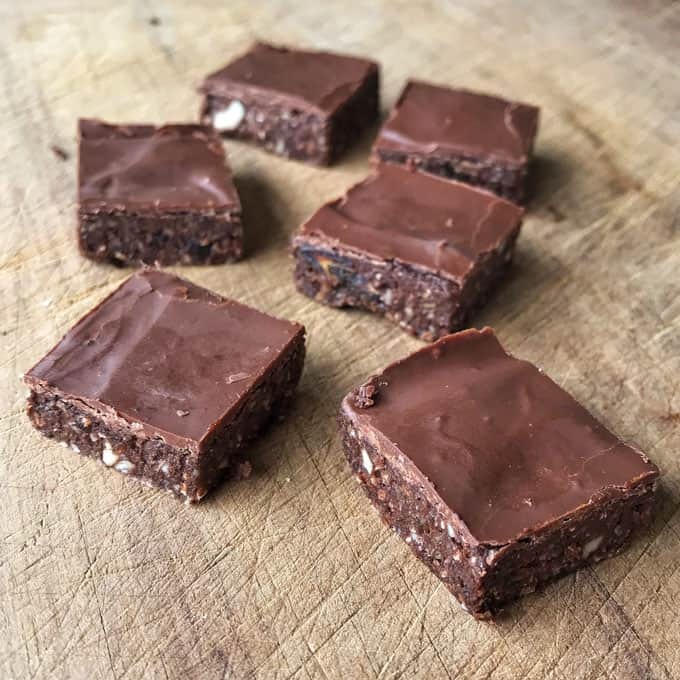 If you love bliss balls but hate the task of rolling them all up then this healthy raw chocolate slice is for you. 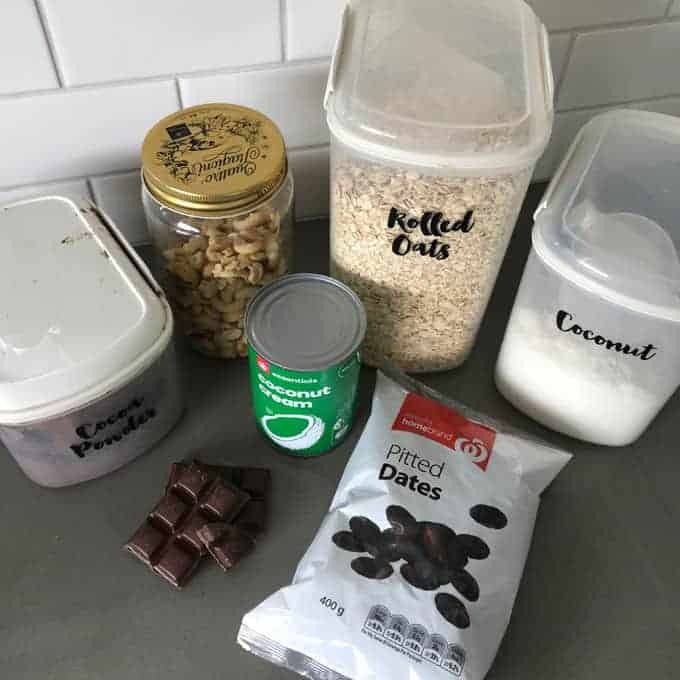 It only takes around 10 minutes to make and it is the perfect healthy treat to have on hand. In this recipe I have used cashews, coconut cream, dates, cocoa powder, coconut and then topped it with a layer of dark chocolate. 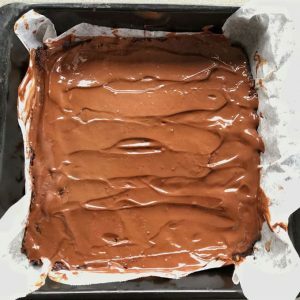 The chocolate topping is optional and it will still set into nice squares if you don’t use it. 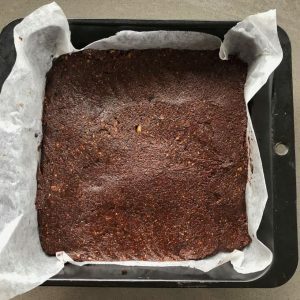 To make this slice you just throw all of the ingredients into a food processor and pulse until it forms a thick paste. If the mixture is too thick add a teaspoon of water and if it seems to thin then add extra rolled oats. Pour the mixture into a lined tray and push it out to the sides with a metal spoon. Smooth the top then spread over the melted dark chocolate. Pop the tray into the fridge to set the slice. 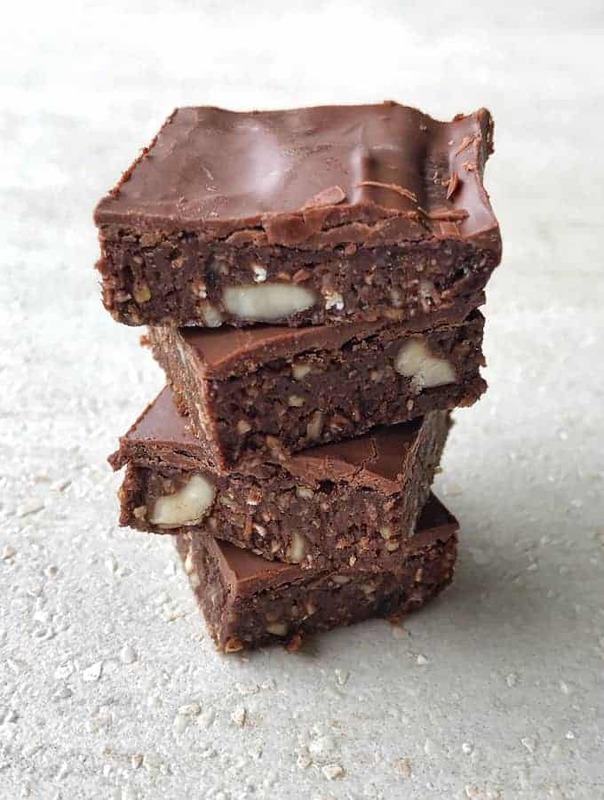 Once the healthy raw chocolate slice is set then cut it into squares. I like to keep mine in an airtight container in the fridge where it will last for a few weeks (unless you eat it all straight away). My young kids love this slice too. 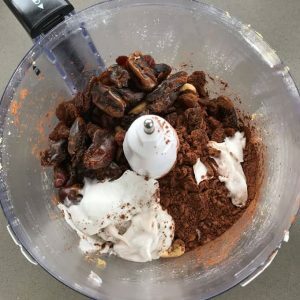 If you prefer bliss balls then you can make the same recipe and roll it into balls. 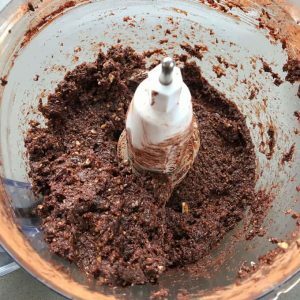 Blitz all of the slice ingredients together in a food processor then pour into a lined slice tin. Push the mixture out to the edges and flatten the top with a spoon. 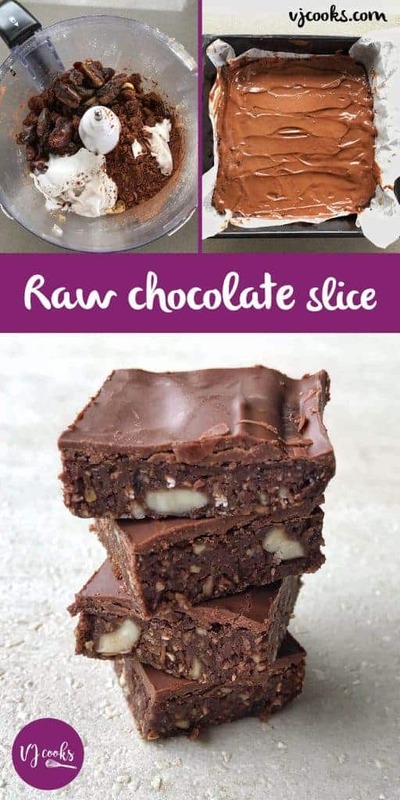 To make the topping, melt the dark chocolate in the microwave then spread over the slice. Chill in the fridge until set, then slice. Keep the slice in an airtight container in the fridge.